More than 1,000 Florida schools paused at 10:17 a.m. to remember the 14 students and three staff members who were killed one year ago today at Marjory Stoneman Douglas High School in Parkland, Fla., a mass shooting that galvanized student activists across the U.S. The deadly mass shooting at Marjory Stoneman Douglas High School in Florida a year ago renewed the national debate on guns and school safety, turned some victims' parents and surviving students into political activists, and at least temporarily ended the local sheriff's career. One year after the Valentine's Day massacre at the school in Parkland, students and families leading a nationwide push for gun safety paused on Thursday for the anniversary of the deadliest U.S. high school shooting. More than 1,000 Florida schools paused at 10:17 a.m. to remember the 14 students and three staff members who were killed. The shooting actually began about 2:20 p.m. School officials picked a different time because Stoneman Douglas students are being dismissed early to avoid being on campus at the time of the shooting. The decision to hold it at 10:17 a.m. was made in honour of the 17 deceased victims. There were also 17 injured in the mass shooting. As night fell, scores of people filled a park for a prayer vigil, led by a group of about a dozen clergy members from all faiths, who focused on unity, love and compassion in the name of those who died in the shooting a year ago. 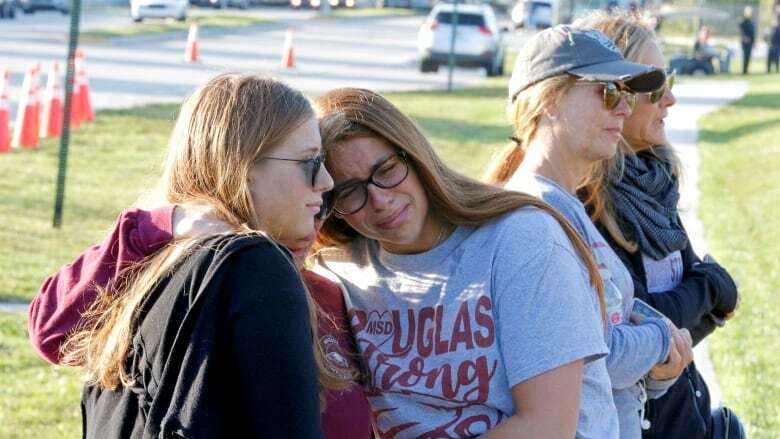 "As men and women of faith, we stand with you Parkland, painful Parkland, profound Parkland, powerful Parkland," said David Hughes, the lead pastor at Church by the Glades in Coral Springs. "We say together never, never, never, never again." Some activists who seized the spotlight after the shooting to rally against gun violence expected to observe the day in private. 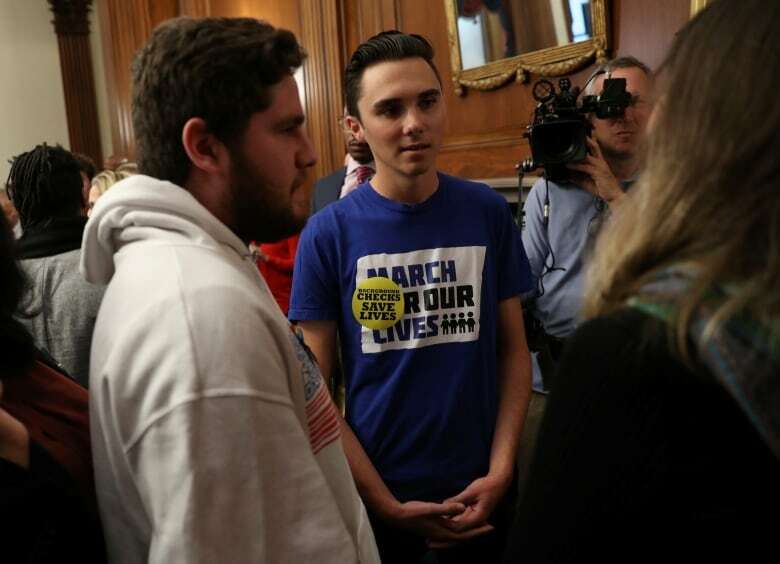 David Hogg has struggled with his grief while emerging as a prominent student activist who co-founded the March for Our Lives movement, which turned into a national phenomenon. "We can't move on from this, when it's something that never should have happened," he told reporters this week, saying he planned to spend the day quietly with family. "You can't move on from your sister constantly crying, every day, because she doesn't have her four best friends anymore." For parent Fred Guttenberg, the year since the shooting already has seen his first Father's Day, birthday and other emotional milestones without his 14-year-old daughter Jaime, who was killed in a school hallway. He used some of those days as a platform to advocate for gun safety. But on the one-year mark of Jaime's death, he planned to retreat and spend time at her gravesite. "Feb. 14, I am just not going to be present. I can't," he said in a recent interview. 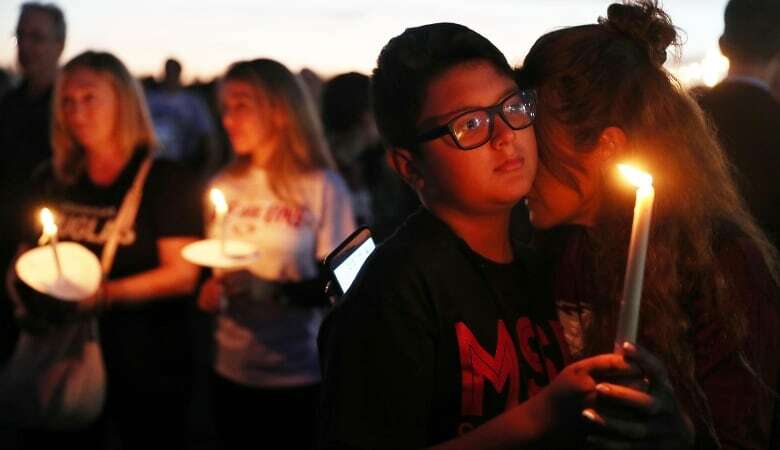 After his 14-year-old son Alex was shot dead in English class, Max Schachter left his work in insurance to focus on school safety. As the first anniversary approached, with his wife and other children still processing their loss, he noted there is no blueprint for getting through challenging days of mourning. "To me, it's just another day that I don't have my little boy. Every day is hard," he said. "It's horrible. No one ever thinks that they're going to send their kid off to school and then they not come home." The shooting last year prompted a wave of student and parent activism for stricter gun laws not seen after previous massacres, with some students also advocating for candidates in favour of sensible gun control ahead of last year's midterm elections. The pressure succeeded in Republican-dominated Florida, which passed a package of gun-control laws. The legislation raised the gun-buying age to 21, imposed a three-day waiting period for purchases and authorized police to seek court orders seizing guns from individuals who are deemed threatening. As well, victims' relatives from both sides helped lead the successful push to remove Broward County Sheriff Scott Israel. Florida Gov. Ron DeSantis suspended the Democratic sheriff last month, citing incompetence in his handling of the shooting. Israel is fighting the suspension in the state Senate and says he will try to win back the office in next year's election. On Wednesday, DeSantis ordered a statewide grand jury investigation into school safety. A former student was charged in the Parkland school shooting and could face the death penalty if convicted at trial. 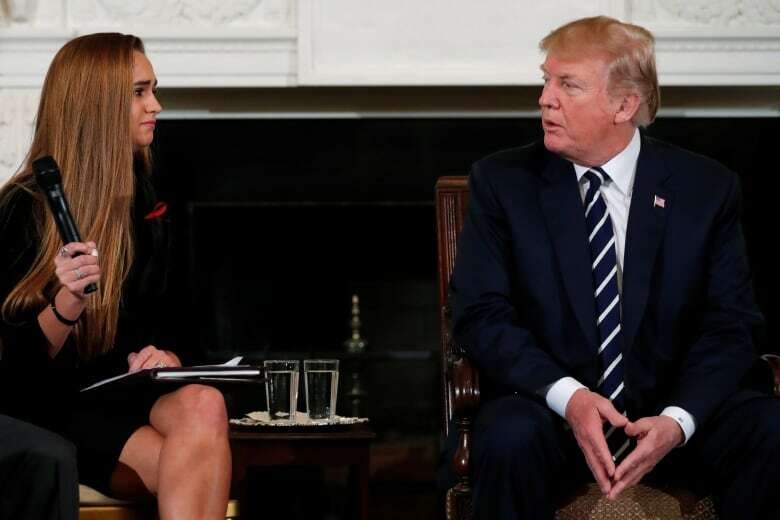 At the federal level, U.S. President Donald Trump invited Parkland students and parents to a listening session in the weeks after the shooting, and seemed most interested in proposals to arm teachers and school faculty. Trump pledged to work with the NRA, but just two months later appeared at the annual NRA convention, pledging full-throated support for the right to bear arms. Trump in a tweet on Thursday said: "On this somber anniversary, we honor their memory and recommit to ensuring the safety of all Americans, especially our Nation's children." In the Republican-led Congress, no major legislation was seriously broached in 2018. On Wednesday, the now Democrat-led House judiciary committee voted 23-15 on a bill that would require background checks for all sales and transfers of firearms, sending it to the House floor. If approved by the full House, the bill would be the most significant gun-control legislation approved by either chamber of Congress in at least a decade. Florida Democrat Ted Deutch said that while the bill "can't bring back" any of those killed in Parkland or other shootings, it will help reduce gun violence. "If this legislation prevents one person wishing to do harm to others with a gun from doing that, it will be something we can be proud of." The vote on the bill came after a contentious, full-day hearing in which Republicans offered a series of amendments, all of which were blocked by Democrats. Democrats said Republicans were delaying a vote on the bill because they oppose universal background checks for gun purchases. "This isn't a debate; it's a show," said another Democratic representative from Florida in the House, Val Demmings. She called universal background checks for all gun sales common sense and said, "Let's move forward." The policy response to the Parkland shooting was mixed in other states throughout the year. Only Vermont, which has a Democratic legislature and Republican governor, followed Florida's lead by approving comprehensive gun-control legislation. Several inspired by the Parkland tragedy passed "red flag" laws, bringing to 14 the total number of states that allow gun seizures in certain circumstances. They allow police or household members to petition courts to temporarily take guns from individuals who are showing signs of violence. Florida's gun-seizure law already has been used hundreds of time. Some states also enacted laws banning bump stocks, the rapid-fire devices used in the 2017 massacre on the Las Vegas strip that killed 58. The Parkland shooting did slow momentum for bills that expand gun rights, but lawmakers in several states nonetheless passed several such measures. They widened the definition of who can legally carry a weapon in public, allowed more concealed weapons in schools, churches and government buildings, and strengthened legal protections for people who claim they shot someone in self-defence. In all, 40 states passed some kind of legislation related to firearms in 2018, either imposing restrictions or expanding gun rights. 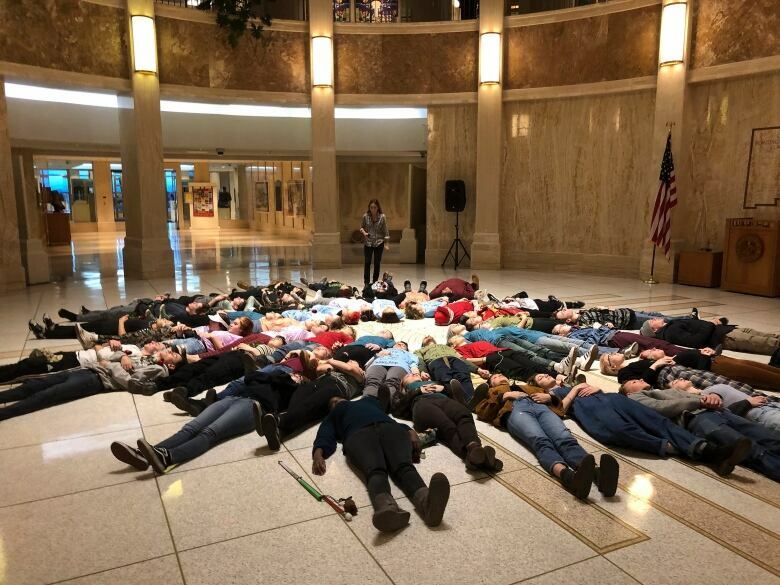 Advocates hope the gains made by Democrats last year in state legislatures and governor's offices will give their gun-control efforts a boost in the coming years.